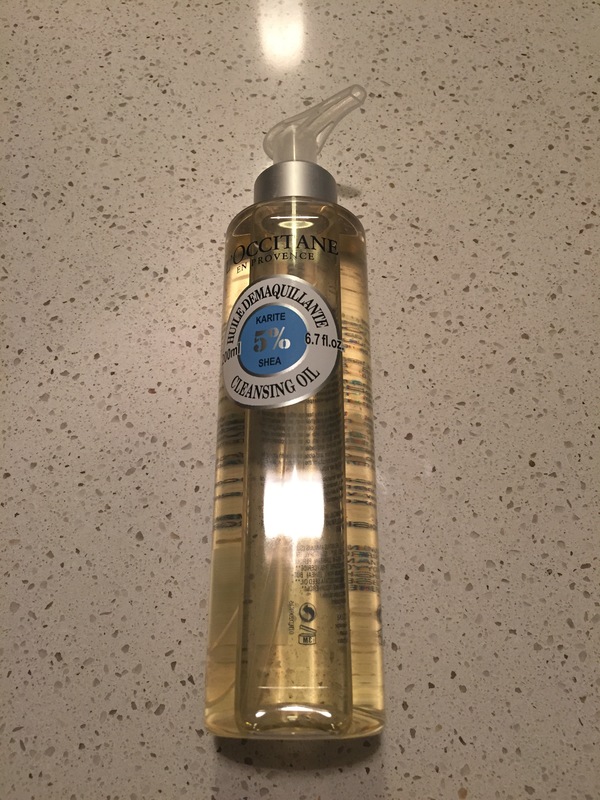 Another product I have now got round to trying is the L’Occitane Shea Cleansing Oil and I am so glad I did as it has surpassed my expectations already. I was lucky and received the full size L’Occitane Shea Cleansing Oil, 200ml (£17) as a free gift with purchase. My two favourite cleansers prior to trying this product were the Liz Earle cleanse and polish and DHC Cleansing Oil, however I already like the L’Occitane cleansing oil even better than the DHC Cleansing Oil. The Shea Cleansing Oil, has a silky non greasy texture and I find it cleanses, removes make-up, including eye makeup (even waterproof) in a single step. It has a beautiful natural refreshing / uplifting aroma. It feels so luxurious on the skin and takes so little product to cleanse the skin (will last a long time)- just massage into skin, add water and then it turns to a milky consistency and then you just rinse off – it feels like you are giving yourself a proper mini facial. My skin feels cleansed, refreshed, comfortable and hydrated (not dry) and looks radiant as well. States: it transforms into a soft emulsion when applied with water to preserve skin’s natural hydration. Your skin will be clean and comfortable, and your complexion looking fresh and radiant. I totally agree with these claims from my initial results. I definitely would recommend trying this product but as always try to get a free sample if possible to try first and then check for best offers available before purchasing. You can purchase the cleansing oil from a number of online stores and I have included two below which I hope you find helpful. QVCUK.com: – £24.51 (p&p £3.95)– 6 piece cleanse and discovery set (great way to try a number of products and perfect travel sizes). Hope you found this useful – Have you tried this product before, and if so what do you think of it? Reblogged this on Beauty Fashion Chit Chat.